After helping build hundreds of websites we came up with the top 9 things to do before launching your website. Most of these things are not obvious and we hope you find the list helpful. It’s not a question of “if” but “when” your website is going to be temporarily down. If multibillion dollar sites like Netflix and Instagram can go down, your site can also go down. It’s crazy how many people invest $50k to $100K in their site yet do not invest in any kind of a backup solution. Log into your cPanel control panel. Click on the “Backup” icon. Select “Generate / Download a Full Backup”. clicking the “Generate Backup” button. You’ll receive an email when the backup is ready. The major risk with this backup solution of-course is if your hard drive goes bad, so does your backup. This is why I also recommend cloud backup solutions like Amazon S3 and Dropbox. Dropbox of-course wasn’t meant for this but there is a wordpress app that makes this backup fairly easy. Whatever option you chose understand it’s not the hosting company’s responsibility to backup your site – it’s the site owner’s responsibility. 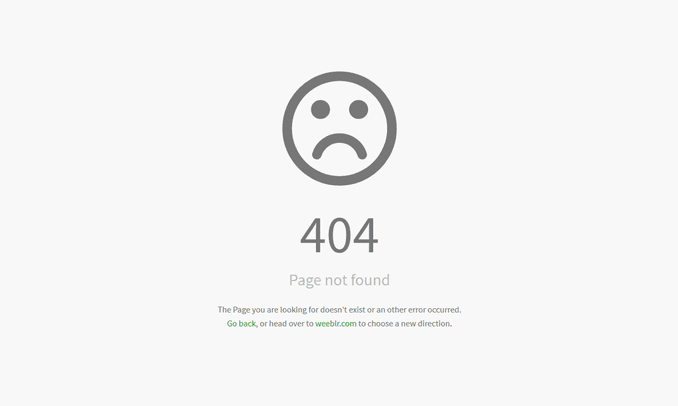 Every website will have a 404 Page – which is simply a page that will show up if you use a wrong link. The problem with this is that it doesn’t offer any guidance on what to do next besides go to the homepage or go back. Unfortunately, most web users just quit when they get to this page instead of trying to figure out your website. This is why you need an optimized 404 page or at least one that’s fun! Whether your site is designed for direct sales, leads, or simply to provide information. You need to be collecting information about the people going to your site and wanting more information. Most people put their email opt-in on the sidebar as an afterthought. However, you can easily put multiple form fields in multiple places on your site, without it affecting the design and flow of your site. Before you launch you need to test the email integration with your email service provider. What does “integration” mean exactly? You simply want to make-sure that when someone enters their email information that your email service provider collects the information and then sends them whatever information they asked for. Deciding on a domain name and which host you use is arguably the most important decision you will make when launching a website. Did you know Mark Zuckerburg couldn’t afford facebook.com – even after raising million in VC funding? He instead launch with thefacebook.com. The obvious reason hosting is critical is that it determines your website’s reliability. The vast majority of new website’s launch with shared hosting options from cheaper hosting companies. This works fine for very low traffic sites. However, if you plan to have any significant traffic to your site and have a lot of heavy data usage from large files – you will need to choose a host with a dedicated server(s) for your site. Obviously your host is critically important to the reliability and speed of your site. However, you are responsible for organizing your website for speed. At Spectruss, all of our customer’s websites are audited on a regular basis for browser caching and data compression to make sure the site’s are loading as fast as possible. We also see a large opportunity in browser cashing at Spectruss. Browsers cashe a lof of data so that when a visitor comes back to your site, the browser doesn’t have to reload the entire page. You can set an expiration date set for your cache, then set when the date “expires” so you can ensure your visitors are always looking at up-to-date information. It’s amazing how many people spend $50K-$100K on their site – and then they don’t look at the analytics that their site produces. This is equivalent to openeing up a retail store and not paying attention to how many people come in the front door every day. What is worse – is that because you aren’t tracking how many people are coming into the store you don’t know what your conversion rate is for how many people are buying. Google Analytics is a free resource that can give you a ton of valuable information. We recommend installing this and some basic dashboards to keep up with your site’s performance. The most valuable information I have found in Google Analytics is to see what type of content get’s shared the most. This is the content that your customer care so much about they are wanting to share it with their followers. There have been entire books written about Search Engine Optimization – so obviously we can’t cover everything here. Before you launch a site there is not much you can do for SEO – however you can’t have some things in-place to ensure success later on. The next thing we recommend is when coding your site make sure each page has a meta description. Meta descriptions are a part of the HTML code that provides a short explanation of what each web page does. This snippet of code is what search engines display in search results. We see a lot of problems when sites are moved from a staging server to a live server. The problem is when the absolute links are not changed to the live links and relative URLs are used instead of the absolute URLs. This is easily fixed with a 301 redirect. Google actually recommends this method as you don’t lose any SEO value for doing this. Additionally, all the SEO value that was placed on the link that was moved get’s transferred to the redirected link. Before you launch your site you won’t to make sure that your site can easily be shared across social media. An important factor to keep in-mind is to be open to change with social media. You will hear a lot of absolutes like: “you have to be on Facebook” or “Twitter works for everybody.” However, you don’t know what social medium your users will use until you launch. It’s important to be open to change and experiment with all of them. Before your site launches build all of your social media links into your site to see which medium your users like to share your content. After redesigning a site you should always re-submit the new site-map to Google, Bing and Yahoo. This is a major problem we see all the time at Spectruss. A site get’s redesigned and the new site’s architecture isn’t submitted to Google and Bing. Yes, I said Bing. Did you know 20% of all search traffic is from Bing? This is just a quick list of things to think about before you launch your website.